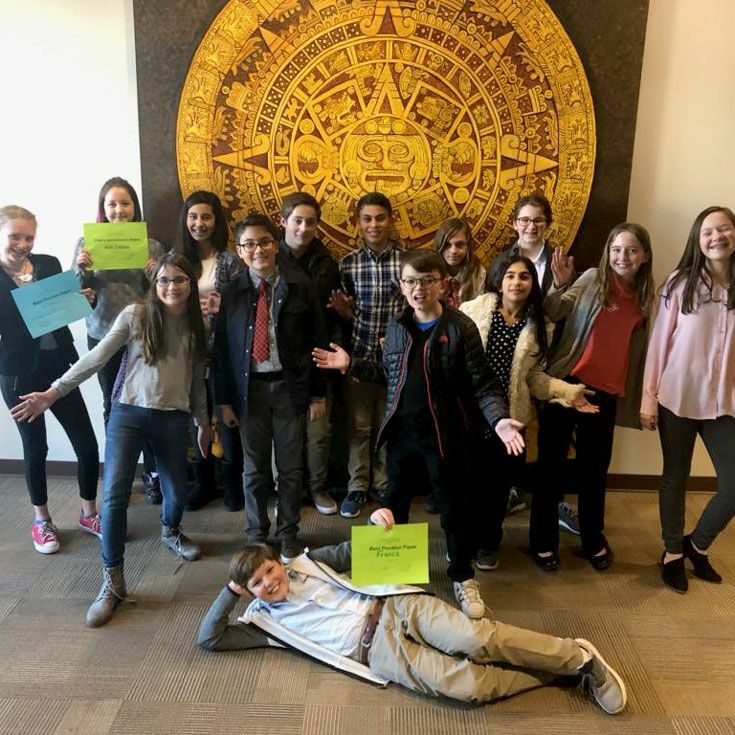 Fifteen middle schoolers participated last Friday in the Ay!Mundo Albuquerque Youth Model United Nations Conference at UNM. Bosque’s cohort, made up of 6th and 7th graders, was one of six middle school groups from around the city to participate in the conference. Thirteen members of Bosque’s 15-member group are in the 6th grade. The conference is designed for students and professionals to have a high quality experience which allows for and embraces the diversity of delegates from different backgrounds, preparation levels, and experiences. In advance of the conference, students selected a United Nations country to represent (e.g., Russian Federation, France, Greece, Poland) and then engaged in significant research to learn more about the country and its positions on important issues including: electronic waste, environmental racism, women’s right to work, human rights, and trafficking. At the conference, students had the opportunity to work with committees on solutions to problems in these areas with the ultimate goal of resolving the issues. The school came in 2nd place overall; three students were honored with “Best Position Paper” awards and another received the “Chair’s Discretionary Award,” given to a student based on overall decorum and the ability to work together with others toward solutions. 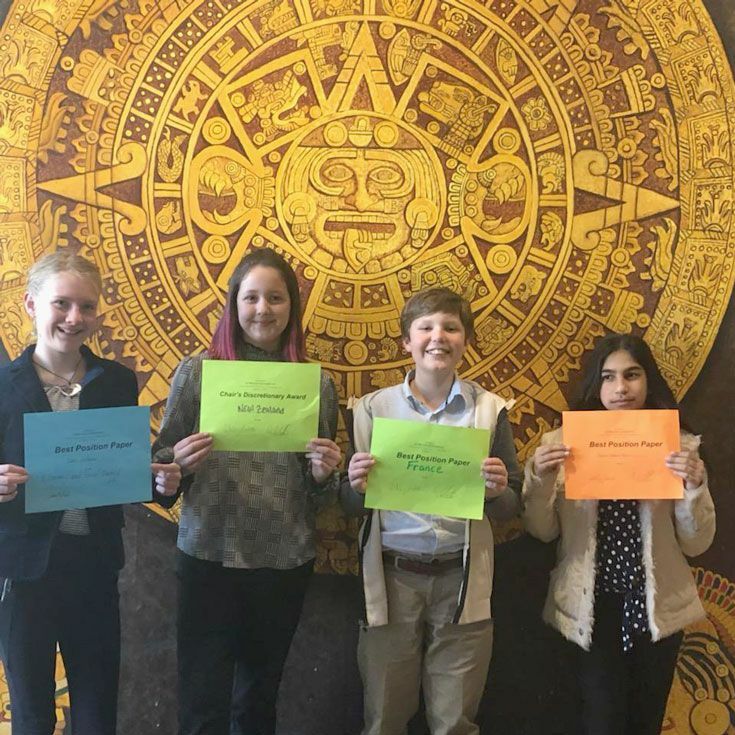 Congratulations to the entire Middle School Model UN for an outstanding performance and to those students individually recognized for exceptional work!